A great campaign does more than raise money — it builds long-term relationships with donors. Most people want to know that they made a difference, that they helped in a serious situation and that they are connected to a worthy cause. Each donor will have a unique hot button — always express your appreciation for their help by giving back something meaningful. Most importantly, let them know regularly about the progress of your organization — not just when you need funds. 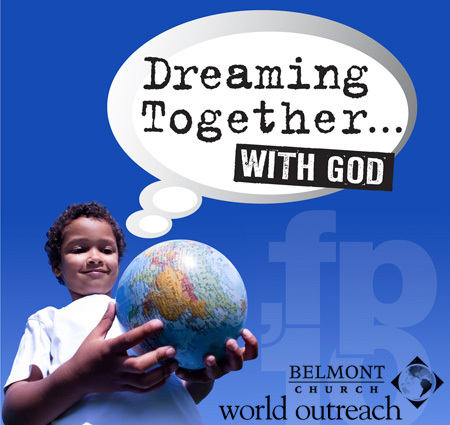 The Belmont Church World Outreach department (WO) has a big mission — bringing education and healthcare to third world countries. Ncutt provides creative promotions for WO every year to advance global awareness, raise funds for their operations and publicize the annual conference. Through a long-standing relationship Ncutt has helped WO raise millions of dollars while maintaining a high retention rate of their donors. creative value: Consistency when nurturing relationships through direct mail helps to steer a steady course.